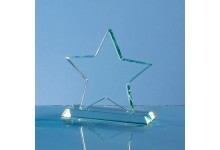 The jade glass star award is available in 10.5cm, 15cm and 18cm and is perfect for rewarding empl.. 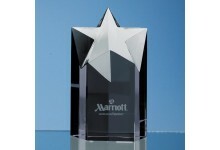 Simple but very elegant, the 5 Pointed Stars are an ideal recognition, achievement or incentive g.. 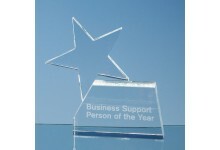 The circle award is simple in design but very stylish, it is hand crafted out of perfectly clear .. 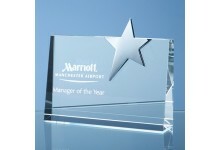 The Rising Star series of awards are ideal recognition, achievement or incentive gift. 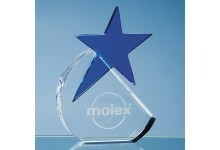 They are h..
Sleek and very stylish, the Onyx Black Star Column awards are ideal recognition, achievement or i.. 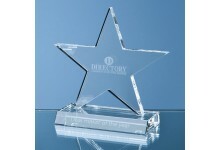 The Blue Star awards are elegant and very stylish, they are hand crafted out of perfectly clear o..
An elegant looking awards that perfectly combines hand crafted optical crystal with a silver plat.. 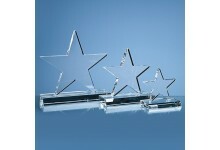 The Star Column awards are extremely impressive and an ideal recognition, achievement or incentiv.. 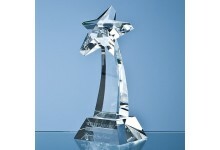 The stylish Star Triangle award is hand crafted out of perfectly clear optical crystal. 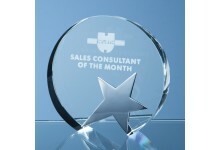 The trian.. 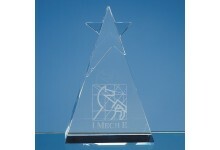 Stylish and modern looking awards that perfectly combine a hand crafted optical crystal triangle .. 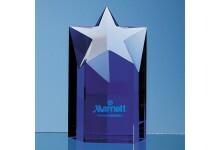 The Sapphire Blue Star Column awards are extremely impressive and an ideal recognition, achieveme.. 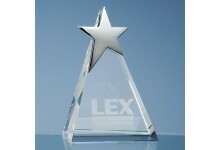 Simple but very elegant, the 5 Pointed Star is an ideal recognition, achievement or incentive gif.. 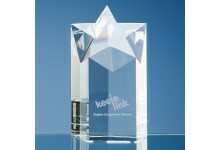 The elegant and very stylish Shooting Star awards are hand crafted out of perfectly clear optical..